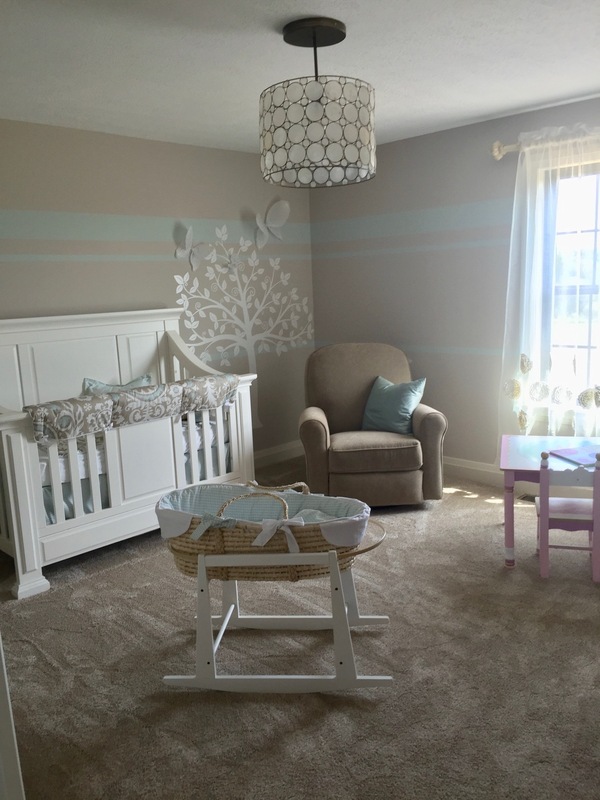 It's good to think about your nursery well before you welcome your baby into the world. 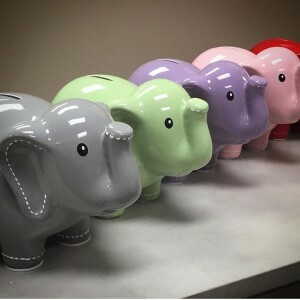 By the end of your first trimester, you should start gathering ideas, clearing out a space for baby furniture, and thinking of the colors you plan to use for the room. Although baby cribs can be found in stock, most cribs take 6-8 weeks to come in, with some cribs taking up to 12-16 weeks to arrive. 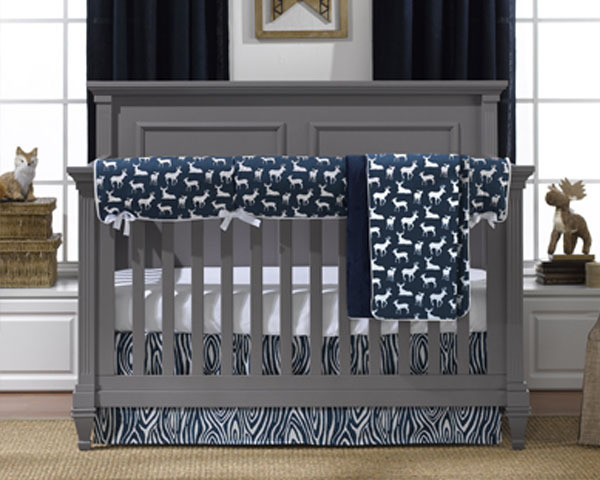 Some choices to consider are whether to purchase a crib and a piece to use as a changing area, or a crib that offers the versatility to change into a toddler and/or full size bed to grow with your child; as well as dressers that can be used as changers and carry into the future as well as other storage pieces. You will probably want your baby crib and other nursery furniture set up in the room before your baby shower, in order to have things ready before your nesting instinct kicks in, or in case your baby arrives early. This will also give you a chance to inspect your crib and furniture for any missing parts or defects. You will probably want to add a glider or rocker for late night feedings and rocking your baby to sleep. (Many say this is a "must have item".) You will also want time to wash your baby's items, add wall decor, and put the finishing touches on your room. By your 36th week, the only thing you will want to be waiting on is your new baby to arrive! 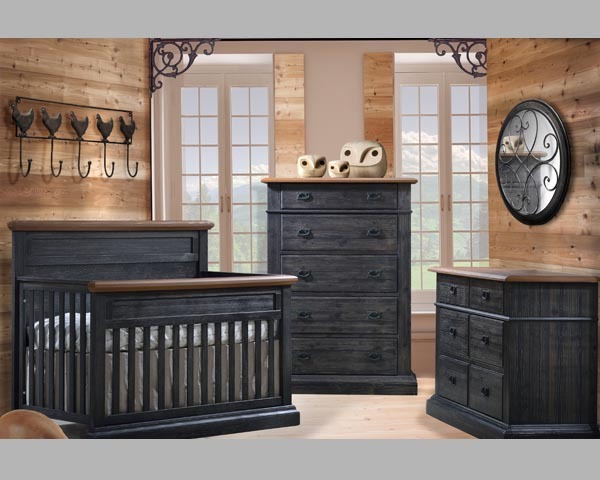 If you have any questions about baby cribs, check out our baby furniture page, or stop in or call one of our store locations. When to Flip a 2-Stage Mattress? Have you been wondering when it is safe to flip your 2-stage crib mattress? If you have, or are thinking of purchasing a mattress that offers a flat, firm surface for infants and a slightly more cushioned side for toddlers; you are probably wondering when would be the proper time to flip from the infant side to the toddler side. Although each child is different, customers typically flip their crib mattress when their baby is about 12 months old, although your baby might be ready to have their mattress flipped a little sooner or perhaps even later- so it is always best to check with your pediatrician first. If you have have purchased a 2-stage crib mattress, you may also be wondering how to identify the two sides. Each 2-stage Lullaby Earth and Naturepedic mattress we sell has a tag sewn into the mattress to clearly let you know which side is which. A firm, flat surface is critical for the safety of your baby, so the infant side is firmer, while the toddler side has extra cushioning for cushioned firm support. Our Lullaby Earth and Naturepedic crib mattresses are designed first and foremost for the safety of your baby. 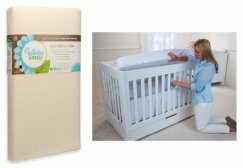 The Consumer Product Safety Commission (CPSC) recommends a firm, flat crib surface with no soft bedding in the crib to reduce the risk of suffocation for infants. Do not use any blankets or pillows until checking with your doctor. If you have any questions about crib mattresses, check out our mattress page, or stop in or call one of our store locations. Looks Like Gray Is Here to Stay! From the light dove and vintage grays to the dark slate and charcoal, and many shades in between; furniture offers such a variety of styles and hues when it comes to gray. And like the brown-stain varieties, gray looks like it’s here to stay. It is versatile to blend with nearly any wall color and lends itself well to a boy or girl. It can also mix seamlessly with warm beiges and yellows to create a neutral palette. A few pieces of new gray furniture can be added with an existing white bookcase or stand to repurpose, as well. So when you are thinking of creating a new space for your little one; remember, the sky is the limit with gray!